Jacob Taio Cruz (born Adetayo Ayowale Onile-Ere; 23 April) is an English singer, songwriter, rapper and record producer. In 2008, he released his debut album Departure, which he wrote, arranged and produced. The album achieved certified gold status in the United Kingdom and earned him a Music of Black Origin Awards (MOBO) nomination. In October 2009, Cruz released his follow-up album Rokstarr, which includes the number one singles "Break Your Heart" and "Dynamite". Cruz collaborated with Kesha on the single "Dirty Picture", and with Kylie Minogue and Travie McCoy on his single "Higher". Cruz wrote and recorded the song "Telling the World" as the lead single from the soundtrack to the 2011 animated film Rio. Cruz's third studio album, TY.O, was first released in Germany in December 2011. In 2012, Cruz co-wrote the David Guetta song "Without You". In April 2015, Cruz released the first single, "Do What You Like" from his forthcoming Roses Collection. In late 2015, Taio added vocals to Tujamo's Melbourne track, "Booty Bounce" which was released by Spinnin' Records. Cruz was born in London, to a Nigerian father and a Brazilian mother. He attended Christ's Hospital, a private boarding school in Horsham, West Sussex. Cruz's songwriting career began as part of Tricky Stewart's writing collective, RedZone Entertainment and achieved notability in 2005 when he was awarded a Brit Award for co-writing Will Young's 2004 single, "Your Game". Cruz is the founder and chief executive of Rokstarr Music London, which in 2006 released his debut single "I Just Wanna Know". The single charted at #29 in the UK singles charts. It won him some admirers including Island Records's Darcus Beese and Monte Lipman, who, according to manager Binns, "both believed 'I Just Wanna Know' fitted the format on both sides of the Atlantic". In 2006, Cruz signed a split single deal with Universal Music Group companies, Republic Records and the UK branch of Island Records. In September 2007, Cruz released his second single "Moving On", which made the top 30 in the UK. In March 2008 his next single, "Come On Girl", featuring Luciana, peaked at No. 5 on the UK charts. The related album Departure appeared on 17 March and peaked at No. 17. This was followed by the single "I Can Be", which reached No. 18 in May. On 18 August, "She's Like a Star" was released, which was a remix of the previous single and featured American rapper Busta Rhymes and girl-group Sugababes. The remix later appeared on the Sugababes studio album Catfights & Spotlights, which peaked at No. 20. It was later revealed that Cruz narrowly missed out on the chance to record the song "Umbrella" which was recorded by Rihanna and ended up topping charts around the world. Cruz at Tup Tup Palace nightclub, Newcastle upon Tyne, UK. 2009. Cruz was featured on Tinchy Stryder's breakout single "Take Me Back" which peaked at No. 3 in the UK Singles Chart. According to Cruz's official Myspace blog, as of 1 January 2009, Rokstarr Music London changed its name to Rokstarr Entertainment Division, abbreviated to R.E.D Inc. During 2009, he worked on his follow-up album entitled Rokstarr. It was released on 12 October through R.E.D Inc./Island Records and is written and produced by Cruz, with co-writes and co-productions predominantly with UK producer Fraser T Smith. The album's lead single "Break Your Heart" was released on 14 September and reached number one in the UK, where it stayed for three weeks. In the US it went directly from number 53 to number one, breaking the record for the largest leap of a début single. At the 2010 Brit Awards, "Break Your Heart" was nominated for Best British Single. The success of the song attracted the attention of David Massey and Daniel Werner from Mercury/Island Def Jam who were excited and aggressive about releasing "Break Your Heart" in the United States on their label. According to Cruz's manager Jamie Binns, the relationship with Monte Lipman at Universal Republic had "gone a bit quiet" by this point and as Taio wanted to be with the label that was most enthusiastic about his music, a move from Universal Republic to Mercury/Island Def Jam was engineered. The single reached the top spot in the United States for one week on the Billboard Hot 100. In an interview with The Guardian, it was stated that "Cruz was clever to have hooked up with a US rapper Ludacris on his breakthrough hit". In order to introduce Cruz into the U.S. market, David Massey had suggested that the single feature an American rapper with chart credibility. The album spawned two other UK singles, "No Other One", and the top-ten hit "Dirty Picture" featuring American electropop singer Kesha. The album's fourth single (second in the United States) titled "Dynamite" debuted at 26 and peaked at number two on the U.S. Billboard Hot 100. At the 2011 Brit Awards, "Dynamite" was nominated for Best British Single, and at the 2011 Billboard Music Awards the song won three Billboard Awards, including Top Hot 100 Song. Rokstarr was followed by the compilation album The Rokstarr Collection which includes songs both from Departure and the international version of Rokstarr. Cruz later released four versions of his single "Higher"—one featuring Kylie Minogue, one featuring Travie McCoy, one featuring both, and one with just himself. Cruz has also been featured on the soundtrack of American reality TV series Jersey Shore. In March 2011, Cruz premiered an all-new song called "Telling the World", which was written by Cruz and Alan Kasirye for the Rio soundtrack. The track was not featured on any of Cruz's prior studio albums. On 23 May 2011, Cruz received his first Billboard Award in the United States. He announced onstage that his third album, entitled Black and Leather, would be released in the fourth quarter of 2011. In June 2011, Cruz released a collaborative single, "Little Bad Girl", with French DJ David Guetta and American rapper Ludacris. The song was a worldwide smash, topping singles charts across the world. During July and August 2011, a series of unreleased songs, recorded during the album sessions, were leaked to YouTube. in an interview, Cruz promised a "fun" and "energetic" album, and claimed that due to the leak, none of the tracks posted on YouTube would be included on the album. Cruz claimed, "It's a shame really, because one person has spoilt it for all the fans. They could have had an album packed with 17, 18 tracks, and now, they're only getting eleven because of one stupid act of tomfoolery." During the interview, Cruz also claimed that the title of the album had been changed to Troublemaker, after one of the tracks included on the album. On 4 October 2011, the single "Hangover" was officially released in Germany and the US, and it was rumoured that a solo version of the song, that features on the physical release, would be included as a bonus track on the album. However, these rumours were later quashed. Around October 2011, the album was made available for pre-order, and as such, the album's final title, TY.O, was revealed. Cruz, via his Twitter account, made the decision to name the album TY.O after he expressed his annoyance at people constantly pronouncing his name wrong. The album was first released in Germany on 2 December 2011. It will be released in the UK on 31 December 2012. It was going to release in the United States on 17 May 2012, but it was released on 31 December 2012, coinciding with the UK release, but with new tracks, including the U.S. single "Fast Car". Cruz was scheduled to co-headline Pitbull's Australian leg of Planet Pit World Tour in August 2012. On 12 August, Cruz performed at the closing ceremony of the 2012 Summer Olympics in London. The performance at London's Olympic Stadium saw Cruz sing his own song "Dynamite", and also perform "Written in the Stars" alongside Jessie J and Tinie Tempah. In early 2013, Cruz recorded vocals over the song "Brazil" by electronic artist Deadmau5 and titled the remake "Touch the Sky". In August 2013, Taio Cruz announced on his Facebook and Twitter account that he would be releasing a new app. It is called Kewe and is a social media app for Android and iOS, where people can interact and keep up with what Taio Cruz is doing. It was launched on 18 August 2013. On 24 November 2013, Cruz announced his fourth studio album, #Black via his Instagram, Facebook, and Twitter pages. On 21 June 2014, Cruz released a new track titled "Don't You Dare" produced by Dr. Luke for his upcoming #Black album. On 27 April 2015, Cruz released his first single in two years. "Do What You Like", produced by Taio and the Grammy Award-winning production team, The Monsters & The Strangerz, was fully released on 24 July 2015 through a joint venture between the multinational Cruz owned venture capital company, Tourean and Kobalt Music Group. The "Do What You Like" full release features remixes by Bel Air, Billy Da Kid, KREAM and Zoo Station. "Do What You Like" is the first single from Cruz's Roses Collection. According to his biography, Cruz will henceforth release collections of singles; rejecting the outdated album format. Cruz called this particular collection Roses, "because every rose is unique". Roses will consist of around ten tracks, each with its own lifecycle. On 4 December 2015, Tujamo re-released his song "Booty Bounce", featuring vocals from Cruz. On 10 November 2017, Cruz released his first song in two years, titled "Row the Body", via Warner Bros. Records. The single features rapper French Montana. Cruz has written songs on albums by Cheryl, JLS, The Saturdays, The Wanted and David Guetta. Cruz wrote and featured on Tinchy Stryder's hit single "Take Me Back". Pop rock band McFly recorded "Shine a Light" which not only features, but was also penned and produced by Cruz for their fifth studio album. Cruz also penned Jennifer Lopez's 2011 single "I'm Into You", featuring Lil Wayne. He also contributed significantly to David Guetta's fifth album Nothing but the Beat, penning two of his hit singles "Without You", featuring Usher and "Little Bad Girl", featuring Cruz and Ludacris. He also wrote "Mechanics of the Heart" for Cheryl's album A Million Lights. On 1 September 2009, Cruz launched the brand Rokstarr, a fashion and accessories brand which has a focus on sunglasses. Speaking in October to R&B writer Pete Lewis, Cruz stated, "There's a load of US celebrities that are all rocking the sunglasses already—Kid Cudi, Justin Timberlake, Kanye West.... Then in the UK we have The Saturdays, JLS, Daniel Merriweather—who've all been twittering and writing on their blogs how much they love them. So yeah, it's definitely my new album 'Rokstarr' and the fashion brand that are my two main focuses at the moment." Meanwhile, speaking again to Lewis in April 2010, Cruz revealed: "We're currently looking to expand the brand and possibly go into things like watches. I've also got a new subsidiary of Rokstarr called 'Rok By Rokstarr'. And we've just started doing things like jeans and T-shirts, and stuff that more of the fans of Taio Cruz can buy. Because with Rokstarr in itself being so expensive, a lot of the kids out there who want to buy Rokstarr things can't. So we're bringing in stuff that's a little bit more High Street and more affordable." In 2012 the brand was renamed to RXTR, a backronym for Riots and Twelve Rebels. The new name came along with new products in the form of watches which were immediately stocked at Selfridges flagship store on Oxford Street in London. In the same year the first Menswear and Womenswear collections were launched at the RXTR website. As of 2015, the website redirects to Cruz's personal website, and the brand's Facebook account has not been updated for over a year. Cruz filmed a public service announcement with Little Kids Rock, a national nonprofit that works to restore and revitalize music education in disadvantaged U.S. public schools. Tinchy Stryder, "Never Leave You"
Cheryl Cole, "Mechanics of the Heart"
Cody Simpson, "Wish U Were Here"
Keshia Chanté, "Set U Free"
Nick Jonas, "I Want You"
^ "ISNI 0000000110084242 Cruz, Jacob Taio". Retrieved 8 June 2016. ^ "Cruz, Taio, 1983- - LC Linked Data Service - Library of Congress". Retrieved 8 June 2016. ^ "Cruz, Taio". Retrieved 30 August 2016. ^ ltd, company check. "TAIO CRUZ INDUSTRIES LIMITED". Retrieved 8 June 2016. ^ "Adetayo Ayowale Onile Ere director information". Retrieved 8 June 2016. ^ Will Young's Your Game (Media notes). 19 Recordings. 82876 602962. ^ Your Game (Media notes). BMG UK & Ireland. GAME01. ^ "Album search results for "rokstarr" - AllMusic". AllMusic. Retrieved 8 August 2015. ^ Ben Thompson (1 November 2009). "N-Dubz and the second coming of Brit pop". The Guardian. Retrieved 3 September 2015. 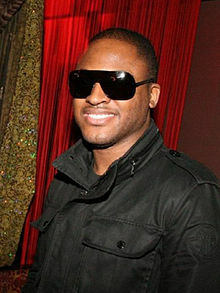 ^ "Taio Cruz Biography". Billboard.com. Retrieved 29 July 2017. ^ "5 International Stars of Yoruba Origin Making Waves in Hollywood - Western Post News". 15 June 2015. Retrieved 8 June 2016. ^ Birchmeier, Jason. "Taio Cruz > Biography". AllMusic (Rovi Corporation). Retrieved 24 July 2010. ^ Rock and Pop Features (24 March 2010). "Jay Sean and Taio Cruz wowing America". Telegraph. Retrieved 30 May 2014. ^ a b McCormick, Neil (27 March 2008). "Taio Cruz The Public School Soul Sensation". Daily Telegraph. London. Retrieved 30 July 2010. ^ a b Taio Cruz Biography, Island Records. Retrieved 2010-15-10. ^ "A&R, Record Label / Company, Music Publishing, Artist Manager and Music Industry Directory". Retrieved 2 January 2016. ^ a b "UK Charts > Taio Cruz". Official Charts Company. Retrieved 6 May 2010. ^ Jones, Alan (25 March 2008). "Now That's What I Call Music! still has it". Music Week. United Business Media. Retrieved 28 July 2010. ^ "Amazon:New Release – UK Forthcoming Albums". AMAZON. Retrieved 16 September 2009. ^ a b c "Interview With Jamie Binns". HitQuarters. 18 April 2011. Retrieved 2 May 2011. ^ a b "Taio Cruz > Charts & Awards > Billboard Singles". Allmusic. Macrovision. Retrieved 21 April 2010. ^ Adesioye, Lola (1 April 2010). "Jay Sean and Taio Cruz Interview". The Guardian. London: Guardian Media Group. Retrieved 30 July 2010. ^ "Taio Cruz – The Rokstarr Collection". play.com. Archived from the original on 2 August 2010. Retrieved 30 July 2010. ^ Kaufman, Gil (28 July 2010). "Eminem Edges Out Rick Ross To Hold Billboard #1 For Fifth Week". MTV. MTV Networks (Viacom). Retrieved 30 July 2010. ^ "Taio Cruz wins first Billboard award", Digital Spy. Retrieved 23 May 2011. ^ "David Guetta teams with Taio Cruz, Ludacris for 'Little Bad Girl' video", Digital Spy. Retrieved 19 July 2011. ^ "International Planet Pit Tour". Retrieved 1 August 2012. ^ "New Music: Taio Cruz - 'Don't You Dare'". Directlyrics. Retrieved 8 August 2015. ^ "Taio Cruz Releases His New Single 'Do What You Like' Today". Bloomberg.com. Bloomberg L.P. Retrieved 28 April 2015. ^ "Taio Cruz Releases His New Single 'Do What You Like' Today". Pressat.co.uk. Retrieved 28 April 2015. ^ a b Lipshutz, Jason (30 April 2015). "Taio Cruz Premiere: Hear The KREAM Remix of 'Do What You Like'". Billboard.com. Retrieved 1 May 2015. Instead of coming back with a new album, Cruz is planning on releasing a string of new singles..
^ "TAIO CRUZ 'DO WHAT YOU LIKE': 'IT'S A THROWBACK TO THE 80s, BUT WITH MODERN PRODUCTION'". FameMagazine.co.uk. Retrieved 28 April 2015. ^ "Booty Bounce - Single by Tujamo & Taio Cruz". iTunes. Retrieved 18 December 2015. ^ "McFly – Shine A Light: **** or hit?". 20 July 2010. Retrieved 30 July 2010. ^ "Rokstarr In The Making – Pete Lewis Interviews Taio Cruz". Blues & Soul. 2 October 2009. Retrieved 2 October 2009. ^ Lewis, Pete (May 2010). "Taio Cruz Comes Clean". Blues & Soul. Retrieved 27 April 2011. ^ "Taio Cruz". Little Kids Rock. Retrieved 8 August 2015. ^ "Lady Gaga, Christina Aguilera Win Virgin Media Music Awards" MTV.com. Retrieved 3 June 2011.